Black & Decker Jr. Play Workbench Just $21.24! Down From $44.99! You are here: Home / Great Deals / Black & Decker Jr. Play Workbench Just $21.24! Down From $44.99! Black & Decker Jr. Play Workbench Just $21.24! You can get this Black & Decker Jr. 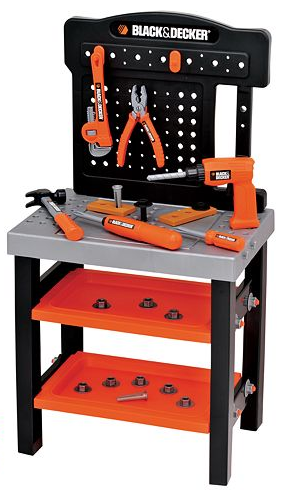 Play Workbench right now for just $21.24, down from $44.99!